Teaching is a good career move for someone looking for more fulfillment from their career, or someone who is passionate about a particular subject. Eventually, his love for teaching led him to join the Seattle School Board, then to become a parent volunteer in his children’s classroom, and then he finally got his teaching certificate and started to teach high school. From there, he became an assistant principal and then began working at City University, where today he runs the alternative routes to teacher certification program. Today, Brown loves helping other people like him, who may have started their careers out on different paths, find their way to teaching. Many people probably think that if they didn’t study education in undergrad or get certified to teach right after college that they’ve already missed the boat. 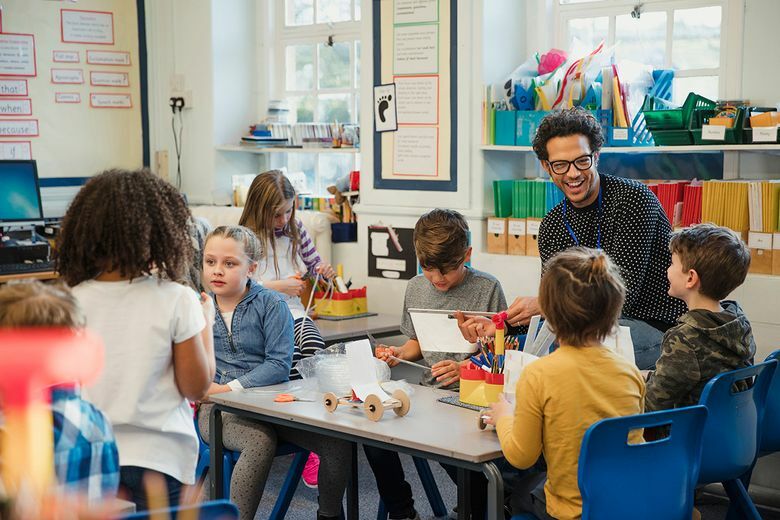 But with a teacher shortage in Washington state, there are actually many degree and certification options that you can look into. No matter what your career background, or undergraduate degree, you can apply for a Master in Teaching, for instance. If you are already working in a school district in another capacity or you want to go into any of the areas where there are teacher shortages (special education, English language learning or math) there are options to take a special fast-track certification program. Teaching is also a good career move for the type of person who is looking for more fulfillment from their career, or someone who is super passionate about a particular subject, like science or math, and loves to share how those subjects can actually be fun with others. We all have experiences with school and teaching. Thinking about these experiences can help someone figure out whether teaching would be a good fit for them, says Brown. For instance, ask yourself: Did you love school growing up? Did you used to want to become a teacher but then got on a different path at some point? Did you used to play school with your friends? Have you recently become a parent of a school-aged student and enjoy volunteering in the classroom? Was school difficult for you but you figured out how to overcome those hurdles? If you said yes to any of these questions, then teaching might be a good fit for you, says Brown. Brown believes that he was able to be a successful teacher because of his career experience before getting his teaching certification. And he’s seen countless other teachers who have done the same. If you’re thinking about a switch, Brown suggests thinking about what you’ve experienced so far in your career and how it can apply to teaching. “Let’s say you’re a marketer, so maybe you have experience with spreadsheets and math, or maybe with communications and writing, those skills could help you with your understanding of certain subject areas,” he says. A big career switch later in life can be exciting, but it can also be tough. Brown says he sees students come through his program all the time who end up feeling totally overwhelmed at first, or maybe they struggle in one of their certification classes and wonder whether it was truly the right move. City University of Seattle is accredited through the doctoral level. It is dedicated to serving the working adult and transfer student and has been ranked in the top 50 Best Online Bachelor’s Programs in the nation seven consecutive years 2013-2019 by U.S. News & World Report.